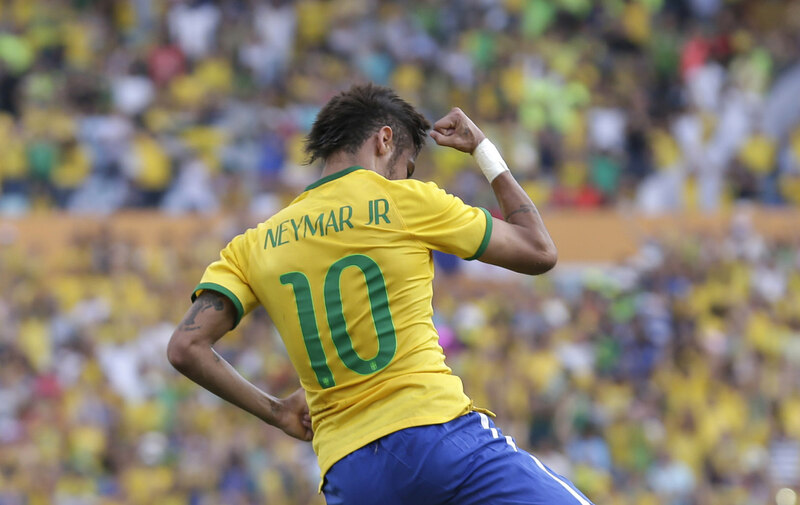 You Are Here: Home » Neymar news: 2018-19 » Brazil 4-0 Panama: Neymar led the offensive charge! Barcelona line-up: Júlio César, Marcelo, David Luiz, Thiago Silva, Daniel Alves, Ramires, Ramires, Oscar, Hulk, Neymar and Fred. 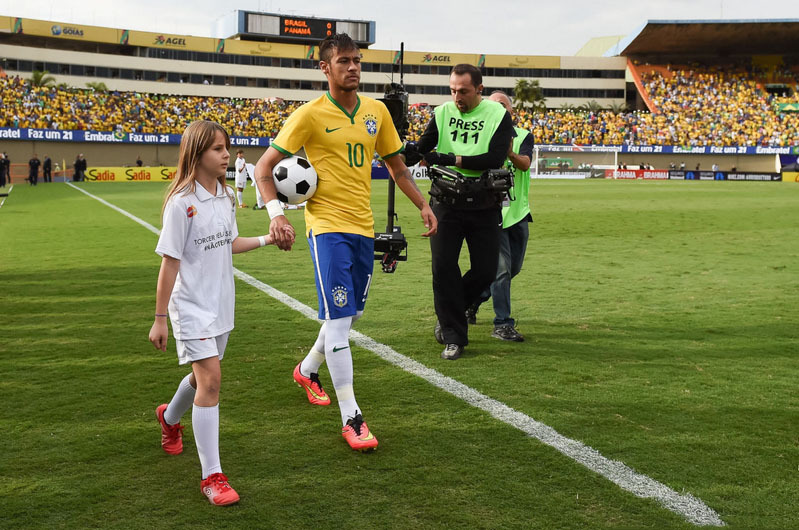 Brazil passed their first World Cup test with distinction, after running over a weak Panama side by 4-0, at the Serra Dourada stadium, in Goiás. 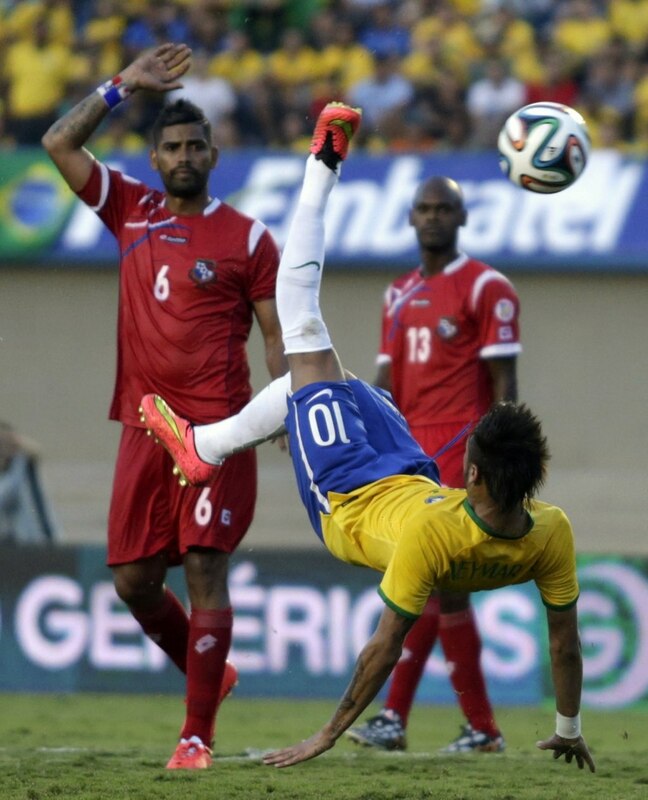 The opening goal was scored by the team’s main star Neymar Jr, who managed to find the back of the net following a terrific free-kick just a few inches outside Panama‘s box. The FC Barcelona forward showed everyone that his injury problems are long gone now and that he’s more than ready to embrace the challenge that will come together with the 2014 FIFA World Cup. Brazil reached the second goal still inside the first 45 minutes of the game and it came off from the feet of another Barcelona player. The Brazilian right-back Daniel Alves was given too much space and time very near Panama‘s box and he didn’t hesitate in striking the ball with great technique to extend the lead into 2 goals just before half-time. 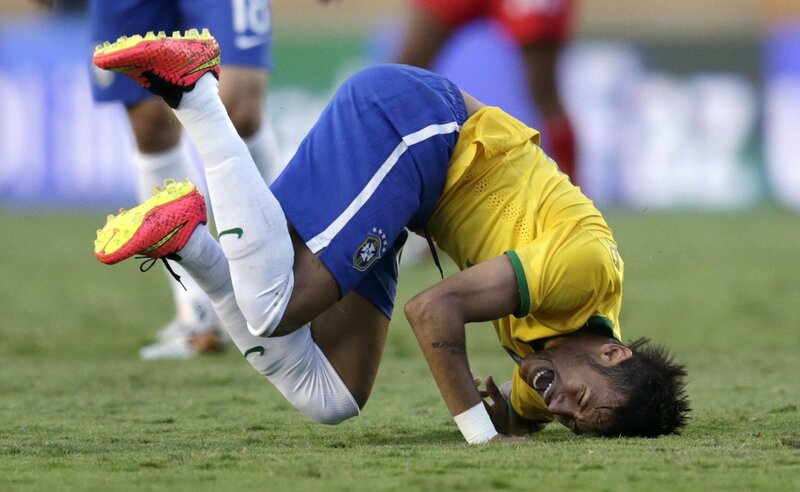 The final result was sealed in the 73rd minute and once again it all started on Neymar‘s feet. The 22-year old forward seemed particularly motivated in this match (could it be related to him have gotten back together with his former girlfriend Bruna Marquezine?) and after getting rid of a couple defenders already inside Panama‘s half, he sent through a great pass to Maxwell on the left side. The former Inter Milan defender reached out to the ball before his opponent’s goalkeeper and touched it to the far post where Chelsea‘s attacking midfielder, Willian, was waiting for it to easily slot the ball in. Following this 4-0 win against Panama, Brazil will now shift their focus to their next friendly scheduled for June 6, against Serbia. 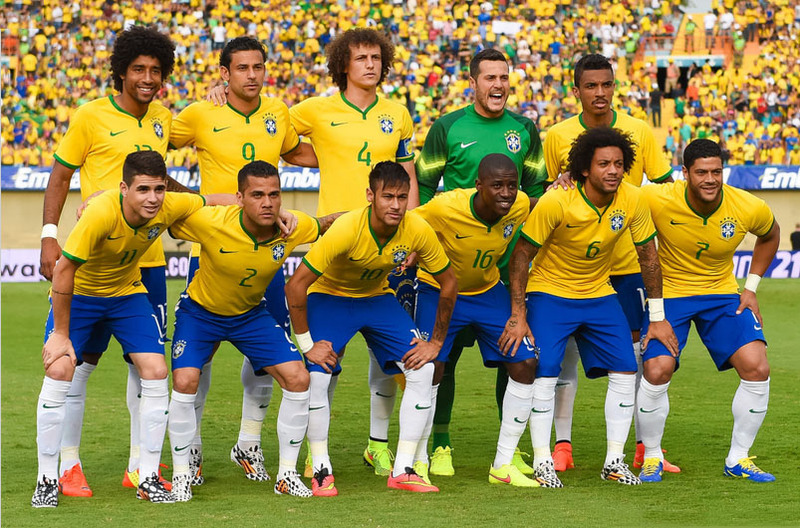 Their World Cup debut is on June 12 against Croatia, in a game that will be hosted in São Paulo.